Teclast might be our favourite budget tablet brand, providing maximum performance at a fair price. The latest M89 tablet PC follows this beaten path, offering gamers and mobile video enthusiasts excellent hardware enclosed in a metal casing. 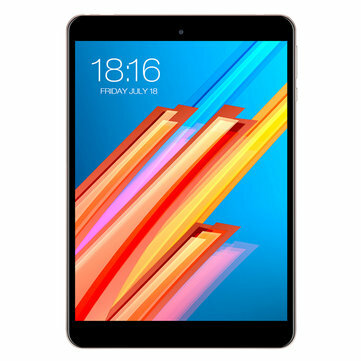 See why you should get the eight-inch Teclast M89 now if you’re looking for a trustworthy tablet. High performance in games or multimedia playback is provided by the combination of power-saving MTK8176 Hexa Core processor and a 3 GB RAM for effective multitasking. What’s more, this tablet features a PowerVR GX6250, dedicated gaming graphics chipset with hardware 3D acceleration, so you can be sure that even the latest games will run smoothly. Unfortunately, the manufacturer has not decided to use the current Android 8.0, although we might possibly get a firmware update later. 32 GB of internal storage ensures that you will have plenty of space for your files. If you’d like to increase the disk space even more, you can add a MicroSD card with a maximum capacity of 128 GB. Typical connectivity options like fast two-channel WiFi connection, Bluetooth 4.0, as well as GPS are available. The latter works really well and is precise, so you can use M89 as a navigation device for while traveling. If you are looking for a tablet where you will mainly watch your favorite series or movies online, you’re in the right place. The 7.9-inch display made in OGS technology provides a high-contrast image with excellent color saturation, visible from any angle. High resolution of 2048 x 1536 px (326 PPi) provides a great visual experience and this might be the sharpest display used in tablets of this size available on the market. Touchscreen is protected by Corning Gorilla Glass, providing resistance to scratches and cracks, although of course it is not indestructible. Teclast M89 also has surprisingly good cameras. 2.0MP is a standard for budget tablets, but M89 features 8.0 MP (back) and 5.0 MP (front) SONY sensor cams, so it’s easy to shoot nice looking videos in 1080p or take selfies for Facebook, especially in good lighting conditions – and possibly with a little help from beautifying filters. The tablet is not too heavy and feels just right when handling. It weighs about 400 grams and is really thin at 7.4 mm – that’s even less than Xiaomi Mi Pad 4. CNC polished metal casing has a fashionable, cool looking champagne gold color. Buttons are located the usual way, with volume control and power on the right side and the I/O sockets at the top. It is worth noting that there is also a Micro HDMI output, which allows you to connect it to a TV or computer monitor and play video or surf the the web on big screen. The 4840 mAh battery is rather standard and will allow you to playback up to five hours of high definition video on a single charge. Dual HiFi speakers and separate amplifier provide clean and pure audio so you can enjoy music and videos even more. Teclast M89 ad slogan is “Beauty outside, beast inside”. But does it contain at least shard of truth? Certainly – it has fairly strong hardware configuration, especially considering its reasonable price, although of course you shouldn’t compare it to the Samsung or Xiaomi flagships. It also looks really nice, with a metal casing and a narrow side bezels. Large, readable screen and a fast performance make it easy to use as a trustworthy mobile device for gaming, watching videos or car navigation. And just look at that low price!